"I'm going to make Kildare Co. Council pay for it". US President Donald J Trump has vowed to build a wall from Kinnefad through Carrick to Lawton & Foley's garage and on towards the Derries in a sensational bid to keep the Kildare crowd out of Edenderry. The billionaire businessman turned politician made the outlandish promise on his recent visit to the derelict Plaza Hotel site at the Downshire which he has recently purchased. The New York born property tycoon plans to erect a 'Trump Tower' similar to the gold plated version he has in Las Vegas, Nevada on the abandoned swamp. 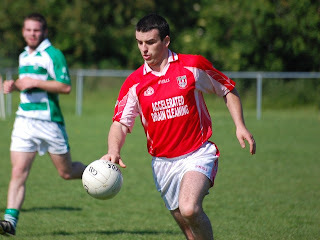 Although Mr Trump has no formal connection to Edenderry he has been an avid supporter of the reds over the years having discovered the club and the sport of Gaelic Games through his Scottish ancestry. "Donald is huge into the sport of shinty and a couple of years back a team from Scotland travelled to Edenderry to play an international rules styled game which was organised by John 'Inchy' McDonald. He flew in to watch the match and just fell in love with Gaelic Games immediately. The next day he bought an apartment on Fr McWey street and has been holidaying there ever since" a spokesman at the White House confirmed. However, the Don has more plans for Edenderry than just a brand spanking new hotel as he made a string of controversial comments regarding the locals in the area. "First and foremost I'm going to deliver this Donor Wall in Edenderry GAA which the club secretary Colm Cummins has failed to do. Secondly, I'm going to deliver a wall from Kinnefad straight through to the Derry Hills to keep the Kildare crowd out. And do you know what else I'm going to do? I'm going to make Kildare county council pay for it"! Trump allegedly declared. "The reason there are so many empty commercial units in this town and the rates are so high for local businesses is because of illegal aliens. I vow to make Edenderry great again and I will do that by creating Edenderry jobs for Edenderry people". The Donor Wall was a brain child initiative set up by club secretary Colm Cummins in 2017 where members of the local community donated a sum of money towards the construction at the new grounds with the promise that their names would be enshrined for years to come on a Donor Wall. Tenders for the Donor Wall and the border wall at Carrick are expected to be released this week with local firms and former players such as Johnny Hurst and Adrian Forde expected to submit bids. However, American economist Brad Johnson is pessimistic about the locals chances of securing such a lucrative contract. "The problem will be is Trump has a host of builders that are lying idle at the minute. They were supposed to be working on the border wall with Mexico but that hasn't come to fruition yet. Donald won't like paying them to stand around so he'll probably fly them over to Edenderry to work on the walls there. It will give them good experience and my sources tell me he has already contacted Catherine Byrne about accommodation at Auburn Lodge". The news of the Donor Wall finally being built will come as great relief to Edenderry supporter David Reynolds who has been withholding his 2018 membership until he saw progress made on the wall he contributed to in 2017. Mr Reynolds has been protesting outside the recently refurbished and luxurious mansion belonging to club secretary Colm Cummins. Mr Cummins (38), who retired suddenly from working in January, was unavailable for comment as he is currently on a three month vacation at his holiday home in the Cayman Islands but it was highlighted to Mr Reynolds that had Mr Cummins been home it's very likely he wouldn't have heard him protesting due to the new triple glaze alu-clad windows he recently had installed for free. Mr Cummins had stated to the executive committee at the AGM last November that it was his belief Mr Reynolds was just bitter that he had failed on two separate occasions to win the Lip Sync battle and that his performance as Freddie Mercury 'left a lot to be desired'. Mr Reynolds is believed to be upset and adamant that he is owed royalties for the YouTube clips Mr Cummins uploaded of his portrayal of the former Queen singer. Other members of the band from that occasion Niall Comerford and Keith McGuinness declined to comment on the feud. While news of the Donor Wall and the Trump Tower hotel being built will come as great news for the locals, the promise to build a border wall around Carrick to keep out people from Kildare was met with mixed reaction from the townspeople. "I think it is a great idea" says local meat factory worker Lukasz Srniceck. "It will help create more jobs for me and my comrades" the Carrick Vale resident said who lives with his 13 friends in the nearby estate. His views were echoed by colleague and room-mate Laurynas 'Larry' Kowalski who feels it's not right that the people from Kildare can just waltz in and take local jobs. "Mr Trump has the right idea, local jobs for the people living locally" he said. Jose Rodriguez Vasques or 'Roddy' as he is known around town said while it could be a great boost to the local economy he was quick to point out that the Kildare immigrants have been contributing to Edenderry GAA since the clubs inception in 1891. "If you think back over the years a lot of our players have come from parents who emigrated from Kildare. Guys like Shane Bagnall, Cillian Farrell and Sean Pender are half Kildare men. They came in their droves to work in Bord Na Mona, Aylesbury's, the shoe factory and O'Brien's" Mr Vasques stated. 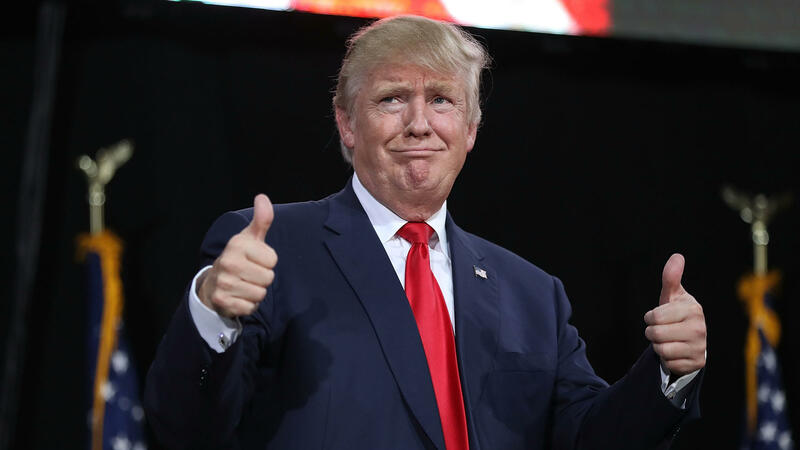 President Trump believes the border wall around Carrick will help Edenderry prosper on and off the field. 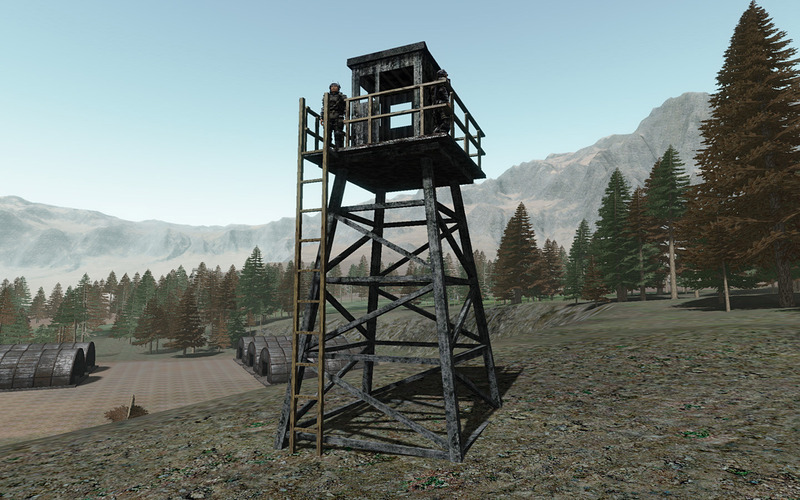 Local jobs will be created at the watch towers along the border wall with local army men Mark Young, David Cullen, Dan Ryan and Colin McNamara all set to be transferred from the Curragh and stationed there. "It will be a shoot to kill policy if anyone trespasses without a valid visa" a spokesperson for Mr Trump stated. "We have discussed this at length with Assistant club secretary Garrett Reilly. Apart from anyone trying to sneak into Edenderry from Kildare, if any locals try to use the wall as a vantage point to watch the senior matches without paying the €5 entrance fee they will also be subject to fire. The same goes for anyone trying to be smart and watching from the swimming pool car park which has been an ongoing problem since they cut down the trees in 2010". the spokesman added. When approached for comment the assistant secretary said "€5 represents good value to watch the senior matches and the club could do with a few pound to be fair" Mr Reilly claimed while lighting his Cuban cigar and checking his gold plated teeth in the mirror. Mr Trumps relations with both his wife Melania and club secretary Colm Cummins are said to be very STORMY at the moment. Mr Cummins is said to be outraged and feels that President Trump is trying to oust him from his position in the club and in a leaked email obtained by this reporter from Mr Cummins to the Vice Chairman David Farrell Mr Cummins wrote: "Oust me will he? There's only one person around here that does the ousting and that's me. This is my yard. I have to defend it" he wrote. Mr Farrell declined to comment. Groundsman Ago Cullen advised he had nothing to say on the matter of the controversial Carrick border wall but that he would be speaking to Mr Trump directly to warn him and his builders to stay off the pitch. "They'll ruin the jasus pitch for feck sake and I only after mowing it" he said. 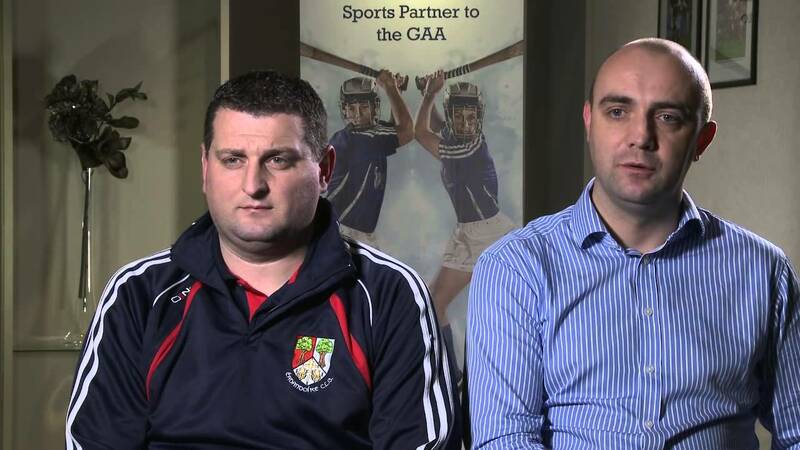 The proposed plans by President Trump may have far reaching consequences for some club coaches such as David Farrelly and Alan Ennis who took the unusual step to move to Kildare voluntarily and will now have to apply for a travel visa if they wish to continue coaching at the club. 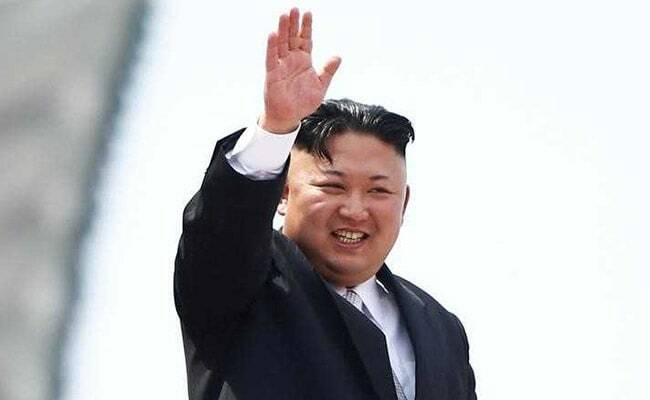 It seems the issue has captured the attention of the world all over with North Korean dictator Kim Jong Un, a former long time foe of the US but now a drinking buddy of Mr Trump, stating on 'Korean Central Television' that he admired how Mr Trump had handled the Edenderry/Kildare border situation and that walls can be a great way of keeping people out, or in for that matter. "He has proven himself to be a very good President, a good diplomat. I look forward to attending the U20 county final on Saturday evening in Bord Na Mona O'Connor Park with my friend Mr Trump and we're delighted that Connor's pub at the harbour will reopen for one night only in our honour. I like Guinness" Mr Jong Un stated. It has also been reported that the U20 final will be broadcast live on North Korean television. At home, the news of the wall has given Irish comedian Pat Shortt the chance to release a version of 'The Sham' song with the lyrics slightly changed.